The meaning of the Divine Liturgy (Greek λειτουργία - common cause) consists in the sacrificial offering for the remission of sins. We offer a sacrificial offering to God the Father - spiritual (prayers, repentance and temperance) and material (various donations - including bread and wine), and at the main moment of the Liturgy our humble human sacrifice is accepted by the Father and the grace of the Holy Spirit is put (rendered) into the Sacrifice, brought by His Son - the God-man, our Lord Jesus Christ, who, because of His love for the human race, desired to become the final bloody Sacrifice for us, having hitherto assumed our sins on Himself. The bread and wine which we bring with humility become the Body and Blood of the Lord God and Savior Jesus Christ - that Body and Blood that were nailed to the Cross on Golgotha under Pontus Pilate. With the fear of God, and through faith in this Redemptive Sacrifice, we sinners are thus cleansed of our sins; and by observing the faith and through living this faith, we become the companions (partakers) of the Savior Himself, and thereby the path to the Kingdom of Heaven opens up for us. The main function, the foundation and the essence of the Orthodox Divine Liturgy, is the remembrance of the Last Supper that took place in the Sion upper room, where the Savior and His disciples celebrated the Old Testament Passover of the Jews, and in which the Lord instituted the sacrament of His Body and Blood - the greatest of all the sacraments of the Church, bidding His disciples to always perform this sacrament in remembrance of Him. The order of service of the Divine Liturgy was formed over the centuries - from the simple follow-up of the Old Testament Paschal meal to the masterpiece of the highest harmony of theological, hymnological, architectural, artistic, choral, ornamental (decorative) aspects of other church culture that we have today. In this brief presentation, I will try to examine what has remained in the modern Liturgy concerning the events that took place at the Master's farewell meal with His disciples in Sion's upper room before the Saviour’s suffering, crucifixion, death and Resurrection. Among the number of sacred actions of the Liturgy, the most important is the action performed after the singing of the Cherubic hymn, when the priests with the unconsecrated Holy Gifts (bread and wine which is slightly diluted with water - the prepared bloodless sacrifice) enter the Altar and close the curtain at the Royal Doors. At this time, beginning with the exclamation of the priest: "Let us give thanks unto the Lord" and the singing of: "It is meet and right..." the Eucharistic canon begins, and the Altar becomes the Sion upper room, and here the memory of the Last Supper is performed – that which the Apostles performed from the first days following the Resurrection of Christ, and that which is described in the New Testament as the Breaking of bread - the oldest part and the heart of the Divine Liturgy. The Eucharistic Canon ends with the blessing of the priest "And may the mercies of our great God and Savior Jesus Christ be with you all" and the singing of the choir "And with thy spirit". Usually the Eucharistic Canon, or Anaphora (Greek ἀναφορά - offering), is also called the Eucharistic Prayer, and is divided into 5 parts: 1) Preface ("Introduction"); 2) Sanctus (Angelic hymn "Holy, Holy, Holy Lord of Sabaoth"); 3) Anamnesis ("Remembrance"); 4) Epiclesis ("Invocation" of the Holy Spirit); 5) Intercession ("Petitions"). In fact, the whole Eucharistic canon is the prayer of Christ: His giving of thanks (blessing) - as described in the Gospel - over bread and wine, which, though now presented in its expanded form and consisting of a series of prayers and actions, is still referred to as a single Eucharistic prayer. Christ’s separate prayer for the thanksgiving of bread, and His separate prayer over wine, are now combined into a single common prayer over bread and wine simultaneously, and this one common prayer consists of three priest's prayers, and three prayers sung by the choir - (Preface, Sanctus, and Epiclesis), and between them an insertion is made in the form of Anamnesis ("Remembrance"). Remembrance (Greek ανάμνησις) - the recollection of the words and actions of the Savior which established the Sacrament. The name comes from the words of Jesus Christ, spoken during the Last Supper: "this do in remembrance [anamnesis] of me" (Lk 22:19; 1 Cor 11:24). It begins after the end of the singing Holy, Holy, Holy, Lord of Sabaoth..." and the priest's secret prayer "With these blessed hosts ...", and ends with the proclamation "Thine own of Thine own we offer unto Thee, in behalf of all, and for all." Then the prayer: "Mindful, therefore, of this saving this commandment ...", ending with the words uttered audibly: "Thine own of Thine own we offer unto Thee, in behalf of all, and for all. ", during which, while being uttered, the priest raises the prepared gifts over the Table (the Altar) – (just as the Lord did in the Sion upper room, during the Thanksgiving prayer); bread and wine - the bloodless sacrifice - which are offered, in the hope that the Lord will receive it, and, having sanctified it- will place the Holy Spirit into His Sacrifice – His Holy Body and Blood. Epiclesis (Latin: epiclesis, Greek: ἐπίκλησις - invocation). It is performed during the singing of the choir "We praise Thee...". It begins with a secret prayer of the priest: "Again we offer unto Thee this rational and bloodless service and we ask of Thee, and we pray Thee, and we entreat Thee: send down Thy Holy Spirit upon us and upon these gifts set forth." (i.e., we bring Thee a verbal and bloodless sacrifice and we ask Thee to send down the Holy Spirit unto the brought bread and wine) and ends with the blessing of the priest of the Holy Gifts "changing them by Thy Holy Spirit". The prayer "Again we offer unto Thee this rational and bloodless service..." constitutes the end of the triune prayerof the priest ("It is meet and right to hymn Thee...", "With these blessed hosts ...), and the triune prayer of the Church, sung by the choir and repeated in the minds and hearts of the praying faithful ("It is truly meet and right...," "Holy, Holy, Holy, Lord of Sabaoth...," and "We praise Thee...,"). These prayers correspond to Christ's giving of thanks over bread and wine in the Sion upper room - after, and as a result of which, as well as the result of some actions of the priest in the altar (the repetition of the words of the Saviour, His offering and the blessing of the Gifts)- the Holy Gifts are sanctified by the grace of the Holy Spirit. The bloodless sacrifice brought by us – the bread and wine, as the Holy Church believes- is precisely at that moment transformed (has changed its essence, is transubstantiated) into the Body and Blood of the Savior Himself, which He sacrificed for the sake of the forgiveness of our sins. At this point, the Table (the Altar) becomes the Table of Oblation on which the slain Body and Blood of the Savior are found. So that the horror of the vision of this Sacrifice does not take hold of those present, the Lord presents it to us under the guise of bread and wine. Perhaps the troparion of the third hour, before the blessing by the priest’s hand of the Holy Gifts (in my opinion, this is a relevant separate prayer regarding the priest's dignity to bless the Gifts, which is not included in the general context of the Eucharistic prayer) in the Russian Liturgy, was deliberately inserted in order to put an end to disputes, opinions, and doubts, about which moment the Holy Gifts are translated - after the glorification, after the established words, or after the invocation of the Holy Spirit. It must be remembered that this is a private prayer of the priest concerning his dignity (rank), and does not attach importance to the Eucharistic prayer. The translation of the Holy Gifts is the greatest of the Sacraments granted to the Church by Jesus Christ. Intercession - intercessory prayer for the Church, for the authorities, for the living and the dead. It begins with the priest's secret prayer "That to them who shall partake thereof, they may be unto sobriety of soul ..." and the exclamation "Especially for our most holy, most pure, most blessed, glorious Lady Theotokos and Ever-Virgin Mary," ends with the blessing of the priest. "And may the mercies of our great God and Savior Jesus Christ be with you all." (the choir, in behalf of the people answers: "And with Thy Spirit."). In the prayer before the exclamation, the priest commemorates the saints of the Old Testament. Then, immediately after the prayer, the intonement: "Especially for our most holy...", and he censes the Holy Gifts on the Altar. The choir then sings "It is truly meet...", and the priest reads secret intercessory prayers for the saints of the New Testament, which begin with the memory of John the Baptist and other saints - "through whose intercessions do Thou visit us, O God." Then follow the petitions for the deceased: for the hierarchy, for the Church, the country and, finally, for the living Christians- from the past to the present. The priest ought to carefully read these prayers which are directly related to the Saviour’s sacrifice for the sake of cleansing us from sins, and which are included as a part of the Eucharistic canon. Prayer for the Church, and for the living and the dead, exists in virtually all anaphoras, and possibly dates back to the Old Testament petitions that happened during their sacrificial burnt offerings. In the Old Testament, by virtue of the burnt offerings which took place in the temple and of its accompanying cleansing, appropriate prayers were uttered, and thus the sins of individuals and of all the people were absolved. This contributed to the spiritual purification and moral perfection of Israel. To begin with, we will describe the order in which the evening meal of the Jews of our day is performed on the Jewish Passover (Pesach). Modern tradition, of course, differs in some ways from that performed by the Lord and His disciples in the Sion upper chamber, but these differences are now difficult to establish. The main difference is that from the time of the destruction of the Jerusalem temple and to this day, the Passover sacrifice is no longer offered by the Jews and, accordingly, the prayers connected with the offering are not read. Instead, it is necessary to read the statute of the Passover sacrifice. For the Jews, the main evening ritual on Pesah (called "seder") is performed in the following order: 1) praying over the cup of wine, the drinking of the first cup ("the cup of the covenant" or "the cup of slavery", in remembrance of their slavery in Egypt); 2) the first washing of hands; 3) the eating of vegetables, first dipping them in salt water; 4) the first blessing and breaking of bread (fresh, prepared without yeast - unleavened); 5) the reading and talking about the exodus from the Egyptian slavery, the drinking of the second cup of wine ("the cup of redemption"); 6) the second ablution (washing) of hands; 7) the second blessing of bread; 8) the blessing to eat bread; 9) the partaking of bitter herbs, the second dipping into salty water; 10) the eating of bread with bitter herbs; 11) a festive meal as a matter of fact- nowadays baked meat is included (lamb, or a chicken bone that is not eaten), in memory of the Paschal lamb; 12) the third and the last blessing and eating of bread; 13) the blessing after eating, the blessing and the drinking of the third cup of wine ("the cup of blessing"); 14) the singing of psalms of praise, the drinking of the fourth and last cup of wine in memory of the wandering in the desert ("the cup of suffering"); 15) sometimes a fifth cup of wine is drunk in honor of the Prophet Elijah who is to come ("the entrance cup" to the promised land - with a prayer "pour out Thine anger towards the peoples who do not acknowledge Thee"), and then the completion of the Seder. It should be noted here that the Lord, after the main meal (in which the sacrificial lamb is eaten), in the Sion upper room blessed a "bread which was then broken" (notably, yeast bread, and not unleavened bread or matzos) and transformed it into His Body, and the third cup, into His Blood. This third cup is called a "cup of blessing" both among Jews today and Christians, as the Apostle Paul writes: "The cup of blessing which we bless, is it not the communion of the Blood of Christ? The bread which we break, is it not the communion of the Body of Christ ? " (1 Cor. 10:16). As some scholars have pointed out, the Lord did not drink the fourth cup that night (and his disciples did not drink it), which the Jews called the "cup of suffering" or "the cup of salvation through suffering," but after singing the praises of the psalms, he went out with the disciples to the Garden of Gethsemane ( see Mk. 14:26), where He asked the Father that His cup of suffering should pass: "O my Father, if it be possible, let this cup pass from me." (Mt 26:39). The Lord spoke to the apostles about this same cup of suffering: "Are ye able to drink of the cup that I shall drink of?" (Mt. 20:22), and it is spoken of in the psalm: "I will take the cup of salvation, and I will call upon the name of the Lord" (Ps. 115:4). The Lord and His disciples drank this cup, undergoing real suffering and death. I mention here the order of succession of the Jewish meal, because in the early days of Christianity, the Apostles and their disciples performed the Eucharist (the breaking of bread) in a close sequence of this meal, including within it those differences brought in by the Savior in the Sion upper room. (For example, the particular way of blessing and breaking of bread according to which the disciples recognized Him in Emmaus). The main difference between the New Testament evening meal (and the Old Testament meal), was that this meal was dedicated not to the deliverance of Jews from Egyptian slavery, but to life- to the teaching of the Saviour and the redemption of our sins through Him. Otherwise, His words: "This do in remembrance of Me" (see Lk. 22:19, 1 Corinthians 11:25) would have been superfluous, since the Old Testament Paschal supper- Seder - is yearly fulfilled by the Jews strictly. In and of itself, this Paschal supper in the Sion upper room was Christ’s farewell with his disciples, which was followed by his betrayal, their separation, and the sacrificial death of the Savior - He Himself mentioned this to them during the meal. This farewell meal did not deal with the deliverance of Jews from Egyptian slavery, but was devoted to the New Testament of the Lord with Its renewed people: "A new commandment I give unto you…" (Jn 13:34). The evangelists do not dwell in detail on the sacred activities performed in the Sion upper room. John the Evangelist describes in detail the words and instructions of the Savior uttered by Him at this last farewell evening, but does not mention at all the actions performed by the Savior and the Apostles (except for the washing of the feet at the beginning of the meal) because these actions were well known to their contemporaries, and therefore did not need a detailed account. The other evangelists mention the actions performed only in passing. According to the rules of the Seder, it is customary to drink four cups of wine (two before the meal with the Paschal lamb, and two after). Notably, as I have already written- it was the third cup, after the partaking of the sacrificial lamb, which the Lord produced- with His own Blood. In the Gospel of Luke the first "cup of the covenant" is mentioned, and further on in the text the third "cup of blessing" is spoken of: "And he took the cup, [the first one- commentary + MA] and gave thanks, and said, Take this and divide it among yourselves: for I say unto you, that I will not drink of the fruit of the vine, until the kingdom of God shall come. And he took bread, and gave thanks, and brake it, and gave unto them, saying, This is my body which is given for you: this do in remembrance of me. Likewise also the cup after supper, [i.e., the third - commentary + MA], saying, This cup is the new testament in my blood, which is shed for you. "(Luke 22:17-20 KJV). If we proceed from the description of the meal with the synoptic Gospels, (the first three which share a similarity) then at the end of the main meal, when the apostles finished eating the sacrificial lamb, the Lord took bread from the table and raised it in his hands, gave thanks to His Father, immediately broke the bread and, giving it to his disciples, said: "Take, eat; this is my body." (Mt. 26:26 KJV) Then he took the cup, and lifted it up over the table, and uttered a prayer of thanksgiving to His Father. Then He gave of it unto the Apostles with the following words: "Drink ye all of it; For this is my blood of the new testament, which is shed for many for the remission of sins." (Mt. 26: 27-28 KJV). Obviously, this action of the Saviour was unexpected for the disciples. It became the most important, the main thing in the Last Supper. After that, the Lord left His Commandment not only to the Apostles, but also to all Christians: "this do in remembrance of me." (Lk. 22:19; 1 Cor. 11:24). It should be noted that the Law forbids the use of blood for food. Evidently, when gave His Blood to the Apostles, with this deed the Lord also finalized, established with them "the new testament in my blood": "That they all may be one; as thou, Father, art in me, and I in thee, that they also may be one in us" (John 17:21 KJV) - the flesh of the soul is contained in the blood. (see Lev. 17:11,14). It is possible that the Apostles did not realize the depth of what happened at that time, especially since it was done in the midst of the Saviour’s lengthy, final instructive sermons to his disciples, as documented by the Evangelist John (see John from chapters 13 to 17); moreover, since the Sacrifice on the Cross was not yet offered, and the night of His passion was yet approaching, about which the Lord Himself said: "All shall be offended because of me this night". (Mt 26:31) After the Resurrection of Christ and the Descent of the Holy Spirit, when the Apostles began weekly to repeat and recount the last meal with Him for the sake of remembering Him, evidently, they came to the realization of the grandeur and significance of the Lord’s actions at the Last Supper - that this Chalice with Wine and Bread is He, who is brought to us as a genuine Sacrifice, replacing the Old Testament Paschal lamb (hence abolished by the Savior, and in itself- through the destruction of Jerusalem Temple), and commanding us hereafter to bring only this Sacrifice for the salvation and remission of our sins. The subsequent Resurrection of Jesus Christ, and the descent of the Holy Spirit "changed the sorrow of the disciples into joy", which, as a result, was expressed by Christians through the transfer of the main day of the week from Saturday to Sunday. Thus, the main and fundamental difference between the apostolic Breaking of bread and the Jewish Seder, was that instead of the sacrificial paschal lamb in the new testament Breaking of bread, the Sacrifice which purifies our sins is the Divine Savior Himself - our Lord Jesus Christ. This paschal supper started to be performed not once in a year, but every week, on the day when Christ had Risen- the Lord's Day, the day after the Sabbath day- Sunday. For the purpose of establishing the Sacraments of the Body and Blood of the Savior at this meal, this particular supper in the Sion upper room started to be called "The Mystical Supper" - that is, the supper at which the greatest of the Sacraments was established. The Lord took the temple from the Jews, and along with it, the sacrifices which purify their sins, so as to Himself become a purifying Sacrifice for the sins of not only the Jews, but for those of the whole world. Even though outwardly appearing as a different person, the Savior was recognized in Emmaus - by the way in which He broke bread. Regarding the Breaking of bread - the ritual performed by the first Christians - it is mentioned in the New Testament after the Resurrection of Christ: "And they continued steadfastly in the apostles’ doctrine, and fellowship, and in breaking of bread and in prayers." (Acts 2:42); "And upon the first day of the week, when the disciples came together to break bread" (Acts 20:7). Moreover, this Breaking of bread was done not only in one place, but in different places "from house to house" (see Acts 2:46), and at the same time. At the time of Christ's earthly life, a sacrifice could only be offered at the Jerusalem temple - this was the only place where sacrifices were made. At the Mystical Last Supper, after eating the sacrificial lamb which had been slain in the temple, our Lord Jesus Christ transformed the bread and wine into His Body and Blood, and thus performed a sacrifice outside the walls of the Temple of Jerusalem. Since then, Christ’s sacrifice was at first offered in the homes of Christians, but over time it began to be performed in Orthodox churches, in which the Altar is arranged in remembrance of the Sion upper chamber. The miraculous feeding of the people with bread and fish, as described in the Gospel, is a prophecy of the Divine Liturgy. (see Matthew 14:16-21; Mt 15:32-38; Mk 6:36-44; Mk 8:1-9; Lk 9:13-17; Jn 6:9-13) Bread and fish - together, side by side - symbolize the Body (bread) of Jesus Christ (fish). "And when it was evening, (...) he commanded the multitude to sit down on the grass, and took the five loaves, and the two fishes, and looking up to heaven, he blessed, and brake, and gave the loaves to his disciples, and the disciples to the multitude." (Mt 14: 15,19 KJV). "And Jesus saith unto them, How many loaves have ye? And they said, Seven, and a few little fishes. And he commanded the people to sit down on the ground. And he took the seven loaves and the fishes, and gave thanks, and brake them, and gave to his disciples, and disciples to the multitude.”(Matthew 15:34 -36 KJV) Both times, the miracle was performed at the evening meal. The occurrence in Emmaus also mentions the evening meal: "But they constrained him, saying, Abide with us: for it is toward evening, and the day is far spent. And he went in to tarry with them. And it came to pass, as he sat at meat with them, he took bread, and blessed it, and brake, and gave to them. And then their eyes were opened, and they knew him; and he vanished out of their sight. And they said one to one another, Did not our heart burn within us, while he talked with us by the way, and while he opened to us the scriptures? And they rose up the same hour, and returned to Jerusalem, and found the eleven gathered together, and them that were with them, Saying, the Lord is risen indeed, and hath appeared to Simon. And they told what things were done in the way, and how he was known of them in breaking of bread. "(Luke 24:29-35 KJV). Perhaps, in Emmaus, after the obligatory prayer of thanksgiving to the Father, the Lord broke the bread with the sacred phrase: "Take, eat: this is My Body, which is broken for you for the remission of sins. ", and, as a result - he was recognized, and then became invisible. It is understandable as to why that could have made such a huge impression on the travelers - Luke and Cleopas - so that they forgot where they had to go, and for what reason. Consequently, they changed their minds about spending the night at a hotel, and instead rushed back to Jerusalem that very night to tell the Apostles that they had seen the Saviour, Whom they recognized by the Breaking of bread. That is, in Emmaus, the Resurrected Savior repeated at the evening meal what He had done at the Mystical Last Supper. In this way, the first Eucharist (Greek for thanksgiving - from the thanksgiving prayer of praise before the breaking of bread) after the Lord’s Resurrection, was performed by the Him. The miracle in Cana of Galilee can also be associated with an Eucharistic meal : Christ turning water into wine. Later on, in the Sion upper room, He changed wine into His Blood -- a miracle of transformation-transition (into). It is known that on Saturday evening meals, besides other products, fish and bread were brought without fail. The frescos in the Roman catacombs of the II century, for example, bear witness to this. The cases documented in which the Lord tasted of fish are not few, including even some cases after the Resurrection: "Jesus then cometh, and taketh bread, and giveth them, and fish likewise." (Jn. 21:13); "And they gave him a piece of broiled fish and an honeycomb." (Lk. 24: 42) Fish took a significant place in the lives of the first Christians. For example, in the Catacombs of Priscilla, a meal is shown where six people recline at a semicircular table. At the head of the table, a man with a beard breaks bread. Nearby there is a bowl, as well as two plates with two fish and five loaves, and at both ends of the table are boxes full of bread. Images of fish and bread as symbols of Christ in many cases adorned not only the catacombs in which the first Christians prayed, but also later on adorned the temples in Byzantium. Before the meal, the Lord washed the disciples feet, and wiped them with a towel-sash (which, in such cases, was usually done by slaves or servants). Can we assume that the Savior broke bread wearing such a sash? Moreover, according to the Jewish tradition, during the meal, one was supposed to wash one’s hands three times (and, accordingly, to wipe it with a towel), which is confirmed by Peter's words: "Lord, not my feet only, but also my hands and head." (Jn. 13: 9 KJV) That is, one was supposed to wash sometime in the future, during the course of the meal. It is possible to assume that the Lord conducted the meal with a towel around Him (around his neck): "but I am among you as he that serveth." (Luke 22:27 KJV). (Similarly, in fact - maybe the significance of the deacon’s orarion originates from the long towel which was girded over the shoulder of those who served during the meal?). In any case, both in the Old Testament evening meal and the New Testament breaking of bread, towels cannot not be dispensed with. (However, even the longest towel has remained in the Liturgy to this day: during a bishop's service, the bishop uses it to wipe with, the acolyte putting it around his neck and standing with a jug and a bowl the for the washing of the bishop’s hands. Maybe the Savior washed not only his disciples’ feet that night, but also their hands thrice, as is supposed to be done in the Old Testament meal?) Also, perhaps the elder (or the elders?) in the congregation of Christians, before the breaking of bread washed everyone’s feet, as was commanded by the Saviour (see John 13:14-15). This tradition has been kept in the Episcopal service of Great Thursday. In the Eucharistic canon, the previous sequence of the Jewish festive meal is omitted and only its completion remains - when the Savior, at the end of the meal, thanked God the Father and blessed the last of the loaves prepared for the meal and the third cup of wine - the "cup of blessing". Today, this blessing in the Divine Liturgy is preceded by petitions worthy of offering glorification to God. Before the giving of thanks itself, we first confess our faith with the singing of the Symbol of Faith, followed by the supplications: "Let us stand well, let us stand with fear, let us attend, that we may offer the holy oblation in peace. "; "A mercy of peace, a sacrifice of praise. "; "Let us lift up our hearts"; "Let us give thanks to the Lord" - and, after this, the Eucharistic Canon begins. This goes back to the fact that the sacrifice offered can be either accepted or rejected by God. The accepted sacrifice is sanctified by the acceptance itself, and, following the accepted sacrifice, even from the Old Testament times, this or that benefaction from God was expected. For example, in the Old Testament the one who wants to offer a sacrifice for sin, gives the animal to the priest, "and the priest shall burn it upon the altar, according to the offerings made by fire unto the Lord: and the priest will make an atonement for his sin that he hath committed, and it shall be forgiven him." (Lev 4:35). The Eucharistic canon (the petitions and all other actions) is headed by only one priest, who, at that moment, represents the Lord Jesus Christ at the head of the meal in the Sion upper room. At this exceptional moment of the Divine Liturgy, in the Eucharistic prayer (unlike other places in the Liturgy), there are no equal concelebrants - even in modern official service books, there are none (service books in which there is an absence concelebrants, and all services are performed by only one priest and one deacon). In ancient times, the priest at the head of the Divine Meal, representing the Saviour at the Last Supper, served Holy Communion even to the bishops who were present in the Altar, but who were not serving. In the Jewish calendar, as in the Orthodox liturgical calendar, the day ends with sunset. All the church events celebrated after sunset, refer to the next day. The first Christians initially gathered on Saturday evening after sunset, and thus celebrated the Resurrection of Christ (likewise, currently in the Orthodox Church - the Sunday evening service is served on Saturday evening). With the earliest Christians, the Eucharist was connected with the evening meal, however, in view of the excesses and irregularities that inevitably occurred at the common meal, as Apostle Paul writes (see 1Cor 11: 17-34), the Eucharistic canon was removed from the evening meal, and began to be served separately, on the Sunday after the morning service was served, and when the sun rose - the Sun of the East, representing the Second Coming of the Lord (therefore, the Liturgy is sometimes called Обедня - Lunch). In itself, the evening meal (agape) remained in practice for a long time, but without the Eucharist - with the Orthodox, remains of it were preserved in the rite of the “Lifting of the Panagia”. And today the liturgical Vespers service remains a prayerful remembrance -of course quite remote - of the evening gathering in the Sion upper room. It is possible that the blessing of wheat, wine and oil at the Litya is also an echo of the blessing of food at the Mystical Last Supper: the priest, in remembrance of the blessing of the five loaves and the feeding of the people with them, and himself not blessing with his hand, says a prayer: "Do Thou Thyself bless also these loaves, wheat, wine, and oil (...) and sanctify the faithful that partake of them." The Lord and the Apostles reclined at the Last Supper, but this custom, adopted by the Jews from their Roman enslavers, is a sign of free masters: "For whether is greater, he that sitteth at meat, or he that serveth? is not he that sitteth at meat? but I am among you, as he that serveth." (Lk. 22:27 KJV). Originally, it was prescribed by the Law to eat the Old Testament Pascha hastily, dressed, and standing - as if prepared to journey (see Exodus 12:11). As one can see - even in Judaism, customs are subject to changes. Nowadays, the Orthodox celebrate the memory of the Mystical Last Supper in the temple while standing. Presently, during the Divine Liturgy, the Breaking of bread - the Body of Christ - also takes place. At the Last Supper, Christ did not cut bread with a knife, but, as to the then existing custom - broke it with his hands. And today, this Divine bread - the Body of Christ - is broken by the priest with his hands (by means of the notches made in it beforehand). However, this action is no longer part of the Eucharistic canon, but is performed immediately after its termination. Later on, the Divine Liturgy was supplemented with symbolic actions which became fixed in the sequence of its rites, like a narrative: the recollection of the Nativity of Christ (the Proskomedia – the removal of the Lamb from the prosphora, the opening of the curtain from Royal Doors at the end of the hours ) - which happens during the reading of the hours (in the temple, during the reading of the hours, we are as if present at the Nativity of Christ); the Savior's emergence for the sermon (the Entry with the Gospel), in which is interspersed an array of His passions – His Golgotha ​sufferings (Proskomedia - the perforation of the Lamb with the spear, the outpouring of the Blood into the Cup), His suffering and death (the incisions and the perforation of the Lamb - the remembrance of the burnt Offering- the Sacrifice – takes place as in ancient times, on the Table of Oblation. In antiquity, the Proskomedia was performed just before the Great Entrance, just as in the Bishop's order (rite) of the Liturgy, where it has been partially preserved), the burial (Great Entrance), the wrapping of the Shroud, the libations of fragrances onto the Stone of the Anointing, and the placing into the Sepulcher (the placing of the Gifts on the Altar, signifying both the Stone of the Anointing and the stone of the Holy Sepulcher, covering them with air and censing), the Resurrection (the opening of the Royal Doors and the Sacrament of Communion), the Ascension into Heaven (the transfer of the Holy Gifts from the Altar to the Table of Oblation) - all of that which, during the times of the Apostles regarding the Breaking of the Bread, was remembered orally and its form - arbitrarily. In the Russian tradition, they try to duplicate the internal architecture of the temple in Jerusalem – specifically, the temple of the Resurrection: the Altar – being the Edicule (Aedicule, or shrine) with the obligatory, located-nearby Golgotha, ​​represented by the Crucifixion with those who stood close by (the Theotokos and the Apostle John), and is now usually the panikhida table, where the panikhidas (memorial services) are served. In addition to the Edicule, the Altar also symbolizes the Sion upper room, as well as the Kingdom of Heaven, in the midst of which the Altar stands, where the "Lamb as it had been slain" is present (Rev. 5:6), and where the King of the Kings also solemnly sits. The internal structure and the frescos of the temple are a semblance of the Holy Land with the special places from the life of the Savior: His Birth, Baptism, Transfiguration, Ascension, and other moments from His life, which are depicted on the walls of the temple (thus, each visitation to a Russian church - is symbolic of a pilgrimage to the Holy Land). The main chants of the Liturgy originate from the earliest times of Christianity. As church tradition testifies, Eucharistic prayers and antiphonal singing, “A Mercy of peace ...", were in existence since the first century. Later on, other spiritual hymns and prayers were introduced: "Holy God ..." - from the year 438, the Symbol of Faith - from 510, "Only Begotten Son ..." - from 536, "Let our mouth be filled ..." - from 620, "It is truly meet ... "- since 980, etc. With the passage of the centuries, through the power and action within the Church of the Holy Spirit, the Divine Liturgy received the image and form in which we pray today. In the Byzantine period, the Liturgy was decorated with elements of tsarist ceremonials. The bishops were given the right to wear a saccos (an outer vestment) - the ceremonial apparel of kings, and a miter - the crown, and the right to sit in the center of the temple, just as the Byzantine emperor sat on the royal throne in his palace during palace ceremonies – thus, the image of Christ as the Heavenly King. The Divine Liturgy, set up similarly to that of a Byzantine ceremonial in this fashion, is still with us to this day. However, during the Liturgy, we should pray in such a way that the aspect of a royal ceremonial does not overshadow, but on the contrary - strengthens the depth and significance of Christ’s simple farewell meal with His disciples, the direct recollection which (the Eucharistic Canon) takes less than 10 minutes from the duration of the entire Divine Liturgy. One of the conclusions drawn from what has been written, should be that every Christian is obliged to rigorously attend the temple of God on a Sunday, according to the Savior's Commandment , and according to the practice of the first Christians; and the Divine Liturgy, as a Sunday gathering in remembrance of Christ – should, for each one of us - become the center of our life. The Ecumenical Councils proposed excommunication from the Church for not attending church on Sundays: "If a layman,… being in town, does not go to church on three consecutive Sundays - three weeks – let him be cut off." (Rule (canon) 11 from the Council of Sardica, and rule 80 - the same rule - from the Council of Trullo). We do not know what awaits the Church of Christ in the coming years. There are known prophecies about the resumption of persecutions, but, of course - not on a pseudo-prostitute church sitting on a dragon and drinking the blood of saints, but rather on the Church-Confessor hiding in the desert. 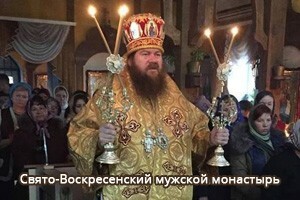 Perhaps one day it will not be possible to serve the Liturgy in all of its solemnity, and, due to resumed severe persecutions, it will be necessary to compile the most simplified rite of the Liturgy (as happened in the catacombs of the USSR- such rites of services that circumstances allowed). Therefore, whatever happens, and in all circumstances, one should, of course, strive to preserve the entire Liturgy in all its completeness and diversity, but if persecution does not allow it, then it is imperative to preserve the main thing which is in the Divine Liturgy – its heart and its meaning - the Eucharistic canon. For the sake of simplicity, I refer to the text of the Liturgy of John Chrysostom. In the Liturgy of St. Basil the Great, the secret prayers of the priest contain a meaning which is similar to that of the prayers in the Liturgy of St. John Chrysostom, but are longer. Regarding the meaning of prayers praising God as a sacrifice to Him, it is mentioned in many places in the Holy Scriptures and in church prayers: "A sacrifice unto God is a broken spirit" (Ps 50); "By him therefore let us offer the sacrifice of praise to God continually, that is, the fruit of our lips giving thanks to his name." (Heb. 13: 15); "Let my prayer be set forth as incense before Thee, the lifting up of my hands as an evening sacrifice", etc. Also, a sacrifice to God is the time spent- a portion of our lives - which we deprive ourselves of, and instead - we dedicate that time to God. Apostolic Ordinances, Book VIII, Chapters 12 - 15. In the Roman Church from about the 5th century to this day, it is considered that the prayer of thanksgiving (praise) that precedes the established declaritory words, is at the same time the invocation of the Holy Spirit. Therefore, in their opinion, the translation of the Gifts takes place after the established declaritory words. We see that the Saviour and his disciples did not partake of the Paschal meal on the eve of the first day of Pesach (14th Nisan), but one day earlier, the 13th of Nisan. On the day when the Lord celebrated the Passover, it is written in the Gospel: "After two days [that is, on the Sabbath] was the feast of the passover, and of unleavened bread:" (Mk 14: 1) - the Lord and His disciples ate the passover not on the eve of Pascha and unleavened bread, as did the other Jews, but the day before. For this supposed deviation, a sufficient number of explanations exist - for example, in different lines of Judaism there were different traditions of Passover. The Lord and his disciples adhered to the tradition of the Nazarenes, according to which- if the first day of the seven-day feast of Passover (14-21 Nisan) - the day when it is required to eat the passover, fell on a Saturday - then the Seder (the main Paschal dinner) was changed to a day earlier; that is, on the 13th of Nisan (from Friday evening to Thursday evening), when the day of unleavened bread was not yet come, and leavened bread was still allowed to be eaten. The fact that 14 Nisan fell on the Sabbath that year is confirmed by John the Evangelist: "Then led they Jesus from Caiaphas unto the hall of judgment: and it was early; [Friday - note + MA] and they themselves went not into the judgment hall, lest they should be defiled; but that they might eat the passover." [Friday evening - note + MA] (Jn. 18: 28); "The Jews therefore, because it was the preparation, that the bodies should not remain upon the cross on the sabbath day, (for that sabbath day was an high day,) besought Pilate that their legs might be broken, and that they might be taken away." (Jn. 19: 31) - this shows that the other Jews were about to partake of the Passover which fell on the Sabbath - the "great day." It should be noted that the rendering of the Evangelist Luke differs, who writes: "Then came the day of unleavened bread, when the passover must be killed." [the lamb] (Lk. 22: 7) - according to this testimony, the Lord ate with the disciples on Friday evening, along with the rest of the Jews, on the day of unleavened bread (that is, when it was strictly forbidden to eat leavened bread), which, as we see, is not confirmed by the other evangelists and all the Gospel events. Perhaps there is an explanation for this, of which I do not yet know about. The Orthodox Church has accepted that the Mystical Last Supper took place in the evening from Thursday to Friday, so that is why we perform the proskomedia on leavened prosphors. The Catholics believe that the day of unleavened bread had then already arrived, and therefore they serve on unleavened bread. But the text of the Gospel uses a word that plainly means yeast bread, and not unleavened bread; so the Orthodox have always blamed the Latins for rejecting what is written in the Gospel - and regardless of any historical investigations, they serve the Liturgy not with leavened bread, but on unleavened matzoh. There is also a version later confirmed by the Qumran manuscripts, that in those days there were different calendars, and the calendar of the Nazarenes differed from the other sects of Judaism. The following explanation exists: the Lord, knowing what would happen on that night, had a farewell supper with His disciples in advance, so as to say goodbye to them, to give them final instructions, and to Himself become the final bloody Sacrifice on the day of the Old Testament Pascha for the remission of sins for all peoples. Since it was permitted cook and to eat Pascha only in Jerusalem, the Law required all Jews to be in the city then, who lived within a distance of thirty days of travel (about four hundred kilometers) from Jerusalem- which, in the days of Christ - the population in the cities reached three million. The Romans in those days strengthened their garrison, fearing unrest. Perhaps, being there only once a year, the leaders of the people at that time counted on (taking advantage of the fact that all the people were gathered in one place), raising a rebellion against the Romans (especially because of the recollection of their deliverance from Egyptian slavery), and hoped that Christ, using his great authority among the people, would lead this uprising and become the King of the Jews. It was not for nothing that Pilate questioned Christ, asking Him whether he was the King or not, making sure that the Lord did not intend nor had He intended to lead a rebellion against the Romans; so he began to defend Him, erecting the inscription "Christ the King" later over the crucified Christ. The Altar (also called "The Meal") has a number of symbolic meanings, the main ones being the table at the Mystical Last Supper (that is, the Meal), and the tomb - which is the stone on which the Body of Jesus was laid. By the way, the graves of the first martyrs in Rome, had the same meaning as the tomb of Christ, on which they served Liturgy in the first centuries. In the Russian Church, the Altar is made of wood in the form of a table on four legs. The Greeks also had ancient Altars in the form of tables of stone, along with whole stones in the form of a grave, closely aligned with the back wall of the altar, as in the Edicule at the Lord's Tomb. Currently, some claim that since the Lord and the Apostles were reclining, that the food during the meal were placed on the carpeted floor, but this is not so, since a table is mentioned in the Gospel: "But, behold, the hand of him that betrayeth me is with me on the table." (Lk. 22: 21). See Prof. I.A. Karabinov. Eucharistic prayer (Anaphora), section II The origin of the anaphora. Perhaps the desire to depart from the Jewish Old Testament tradition was one of the reasons so as not to consolidate this practice in the Church. For the consecration or the blessing of anything, the action of blessing with the hand is not necessary. For example, many things are sanctified by the sprinkling of holy water or through anointing with consecrated oil. Exclusively through prayers- holy water itself is sanctified or blessed, as are wheat, wine and oil at the Litia, and much else. Even in the Gospels, while preserving the general meaning, the texts differ from the words of the Saviour at the Mystical Last Supper, as do even the prayers of the Our Father. There is no Eucharistic canon in Gregory Dialogist's Liturgy of the Presanctified Gift. Also, there is no blessing of bread and wine, though there is the breaking of already consecrated bread - the order of service (rite) that is no longer a part of the Eucharistic canon. This need becomes especially urgent today, when there often is no priest, and people do not know what to do on Sundays. Maybe one can recall the Last Supper at the family dinner on Saturdays, as was done by the first Christians? It would be interesting in this respect to familiarize oneself with the practice of the catacomb Christians who were left without priests (TOC), or like various Old-Believers who have been without the priesthood for a long time. One can also consider the experience of other groups, even the ways of the non-Orthodox? Maybe it will be possible to find, or else to configure an acceptable order of service for the Orthodox , for the sake of fulfilling Christ's commandment? Previously there were enough priests, so this question would have not even arisen, but now a different period of time has come. Currently, in the absence of their priesthood, the Jews hold the Old Testament Passover meal (the seder) without the most important thing in it - the sacrificial lamb. Perhaps Christians left without a priest can also hold the rite of remembrance of the Mystical Last Supper without the translation of bread and wine into the Body and Blood of the Saviour, which only a priest can perform? If there are any spare Holy Gifts (which can be provided by priests to laymen living in isolation, if there be a blessing of the Synod for this), then perhaps there could be an order of communion with these Gifts during such a recollection (of the Last Supper), with prior confession of sins through the use of modern means of communication. (The catacomb Christians had confessions by means of both phone calls and correspondence by mail.) If we were to faithfully gather together every Sunday for the sake of the remembrance of the Lord's Meal, and this gathering would become Law for us, as was the case with the first Christians- then these gatherings would greatly strengthen the spirit of the Christians of the last times. "When the month which is called Nisan by the Jews comes - the king and the judges send messengers to all the inhabitants of the vicinity of Jerusalem who own flocks of both large and small cattle. All of those flock owners are instructed to bring their cattle to Jerusalem since there are often many pilgrims, and so that those arriving pilgrims can then purchase the animals for sacrifices, or else simply for food. The property of all those who do not bring their livestock by the specified date is confiscated for the benefit of the Temple. Therefore, all those who own livestock come hastily to the city. They lead their cattle through a small river not far from Jerusalem, so as to cleanse the animals from dirt and mud. It is said that this was exactly what king Solomon was referring to here: ".. like a flock of sheep that are shorn, which came up from the washing;" (Song of Solomon, 4: 2). When these herds ascend the hills surrounding Jerusalem, there are so many of them, that the grass is no longer visible - the hills become white as down. And when the 10th of Nisan comes (four days before the 14th of Nisan, when the sacrifices are offered), everyone goes to buy an animal for the sacrifice, which is called "Paschal." According to Jewish custom, in a crowd of people waiting for their turn to buy an animal for the sacrificial offering, no one says to the other: "Move over" or even: "Let me pass" - even if the first of them is the king of Israel. I asked the kohens (livitical priests) where this custom comes from, which is contrary to morality and common sense. They answered that no one can claim superiority over the others when it comes to preparing for the fulfillment of the service to the Most High, and even more so- about the service itself. In these hours, they said- all Jews are equal. When the 14th of Nisan arrives, the ministers climb to the top of a tall tower that rises above the Temple, called Luli (Луль) by The Jews . They sound the trumpet with three silver horns, and then anounce: "Hearken, people of the Most High! It's time to slaughter the Passover sacrifice in honor of Him whose Name abides in this great and holy Temple. " After the people have heard that announcement, and as it is the holiday of the Jews- the minister puts on festive clothes, . The middle of that day is the time of the offering of sacrifice. At the entrance to the large courtyard of the Temple there are 12 Levites with silver rods, and inside the courtyard - 12 kohens with golden rods. The Levites warn those entering to behave calmly and not to push, not to argue, and from agitation and haste not to hurt each other. Once on Pesach, a misfortune had happened when a crowd crushed an old man together with his sacrifice. The kohens who are inside the courtyard, place their entrances in such a way that they do not interfere with one another, and then lock the gates when they are convinced that enough people have already entered into the courtyard. At the place where they slaughter the sacrifices, the kohens stand in several rows. Each hold gold and silver vessels in their hands, and the entire row holds the same types of vessels - either gold or silver, as that is majestic and more beautiful. The kohen who is standing at the beginning of the row, receives a vessel with the blood of a slaughtered sacrifice and passes it on to the person standing next to him, who then passes it further along the row, until it gets to the kohen standing at the altar. There, the vessel is emptied and then transferred from hand to hand back to the beginning of the row, with the result that each kohen receives and passes on first a full, and then an empty vessel. All this happens very quickly and without the slightest delay, so that the vessels seem to literally fly over the courtyard. This amazing agility is achieved by the fact that for thirty days, the kohens become accustomed to this work, and so there is not the slightest flaw. In the courtyard there are two tall pillars, and on them stand two kohens holding silver horns in their hands. They trumpet the horns as soon as the next shift begins the sacrifice, so that those standing at the bottom on their elevated kohens, can start to read the Hallel (a Jewish prayer of thanksgiving ) in time. They accompany the reading with all their musical instruments, which are taken out of storage that day without fail. The Hallel is also read by the owner of the animal being sacrificed. If the reading ends before the whole shift finishes the sacrifice, it starts again from the beginning. After all the animals are slaughtered, they are hung on iron hooks, so as to cut and peel them. Those who do not have enough hooks on the walls join together in twos, put a stick on their shoulders, and then hang the animal on it and carve it. Then the owner of the animal separates the parts that are to be burned on the altar, takes the rest and leaves, feeling proud and joyful, as if he went to war and returned with a victory - because, for the Jews - it is considered a great disgrace not to offer the Paschal sacrifice on time. During this service, the kohens put on red clothing, so that if drops of blood fall on them, it would not be visible. This clothing is a very short tunic, reaching only to the legs. It's sleeves are short, not covering the wrists. They do not wear any shoes so as move more quickly, and to not delay the service for even a second. They wear a small hat on their head, around which a three ama long turban is wrapped (an ama is about 16 inches, or 40.5 cm.- a measurement from the elbow to fingertips). The high priest, as I was told, wears a four-layered white turban. Furnaces in which the sacrifices are roasted, are installed by the door of the houses. It was related to me that in this manner, the Jews celebrated the holiday, and their faith in the Almighty is thus declared. The roasted meat is eaten with the singing and reading of the Hallel, so it is heard at a great distance. All the gates of Jerusalem are wide open on Pascha night, for many people enter and go out through them."